Kelly Insurance Agency is a source for homeowners insurance in Trappe, Pennsylvania. They also serve people needing homeowners insurance in Limerick, Skippack, Royersford, Collegeville, Phoenixville and throughout the five county area. As a family-owned and operated business, Kelly puts a personal stamp on the work that they do. This agency was originally founded almost 35 years ago, so they have a very impressive, successful, long-term track record. There are many decisions that must be made when purchasing homeowners insurance. Kelly Insurance Agency has always placed an emphasis on honest, straightforward communication. They answer questions thoroughly, and they provide detailed explanations. This agency wants the customers they work with to make fully informed homeowners insurance decisions. 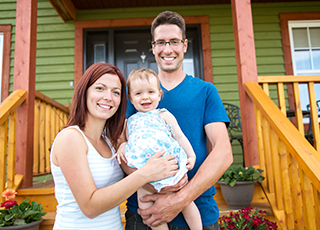 In addition to insurance for single-family homes, Kelly Insurance can obtain homeowners insurance for other types of dwellings. Condominium owners can also get their homeowners coverage through the agency, as can mobile home owners. Kelly has access to homeowners insurance for vacant homes, and real estate investors can rely on them for coverage for rental properties. Speaking of rental properties, a landlord’s homeowners insurance policy will not cover the property of the tenants. There is also the matter of liability. If someone is injured on property that is leased due to the negligence of the tenant, there can be legal liability. The landlord’s homeowners insurance will be of no assistance to the person renting the property. For these reasons, it is important for people who rent to carry renters insurance. It will cover the property that is inside of the dwelling in the event of a fire, a burglary, or an act of vandalism. Renters insurance can also provide a layer of liability protection. In addition to homeowners insurance, the Kelly Insurance Group can connect clients with other types of personal insurance, including auto insurance and life insurance. As a result, local residents can satisfy all their insurance needs under one convenient roof. About: Kelly Insurance Agency is a leading provider of homeowners insurance in Skippack, Phoenixville, Royersford, Limerick, and Collegeville, Pennsylvania.